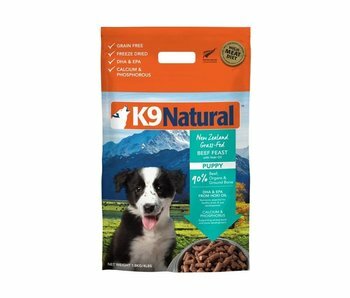 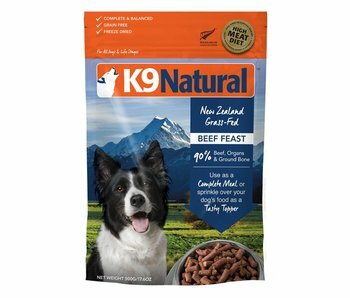 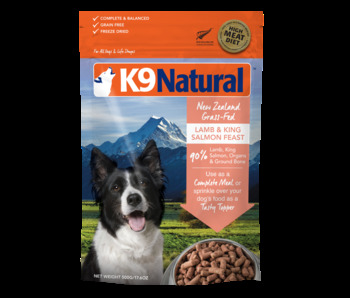 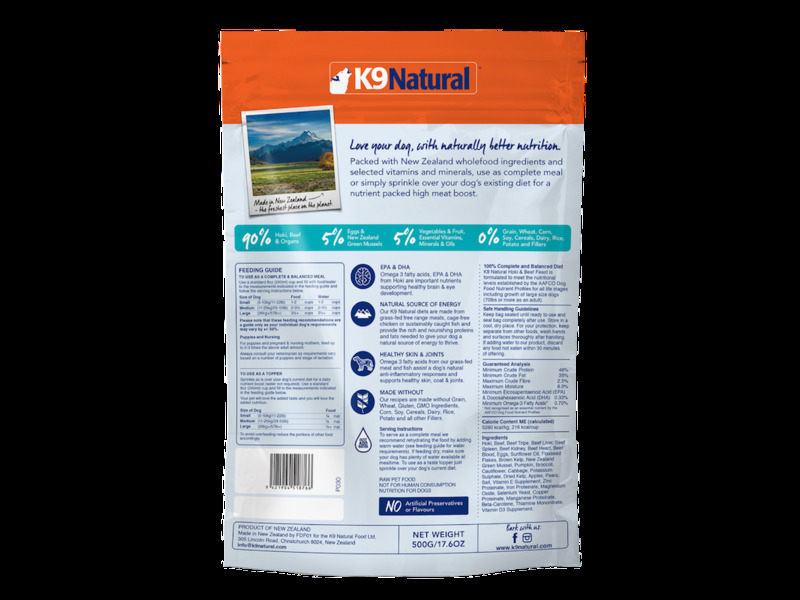 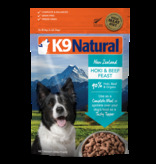 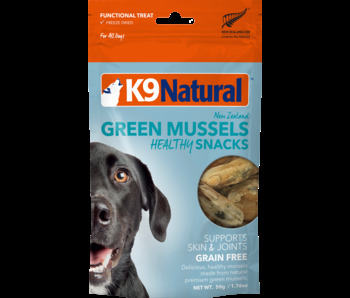 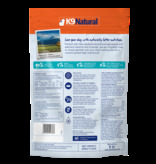 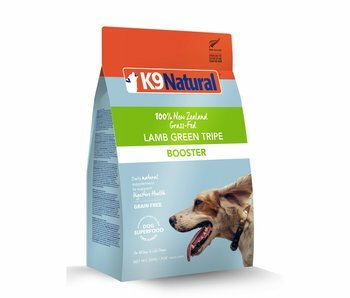 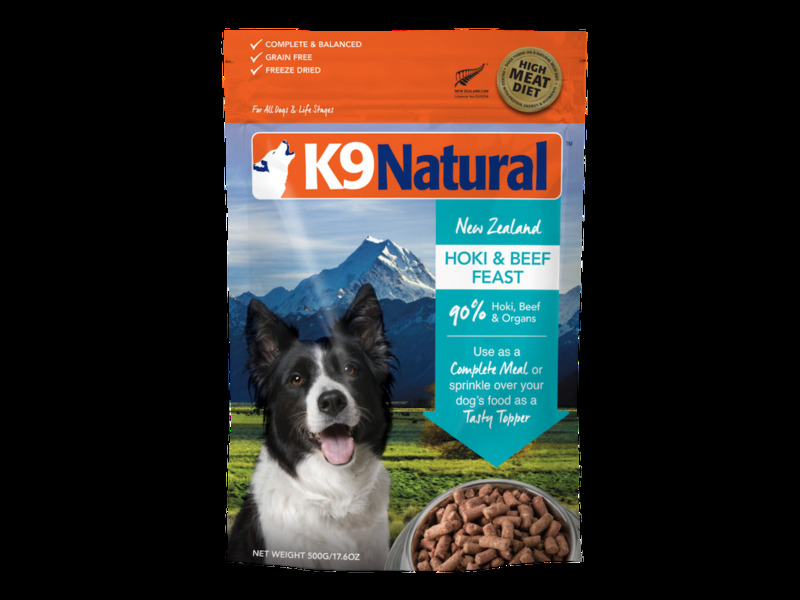 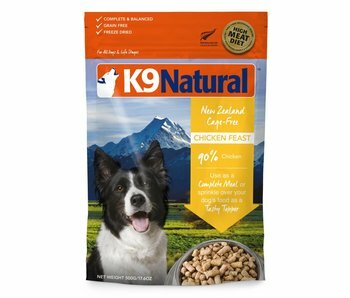 K9 Natural Hoki & Beef Feast premium freeze dried dog food range uses only the highest quality ingredients giving your dog the locked-in natural goodness of fresh pure ingredients with the combined benefit of an intense flavor boost. 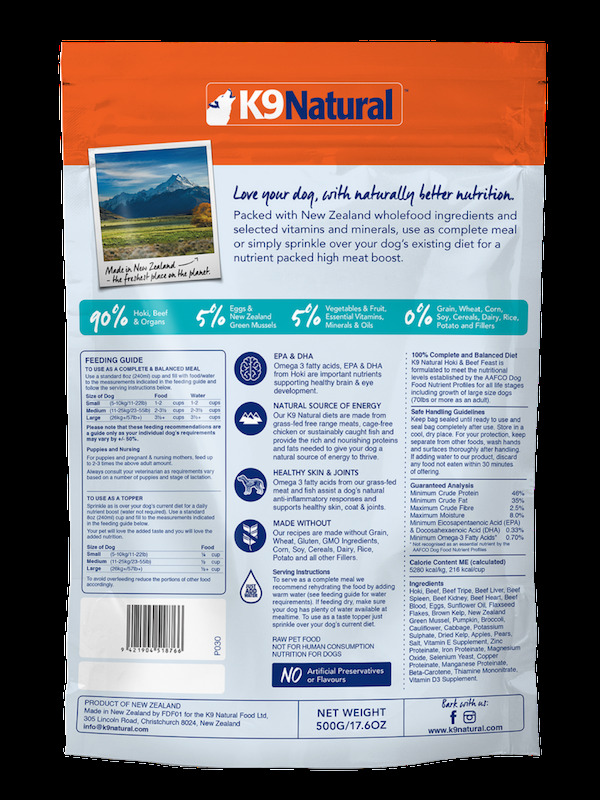 Our innovative freeze drying process removes only water so all other nutrients remain in the food, including the taste. 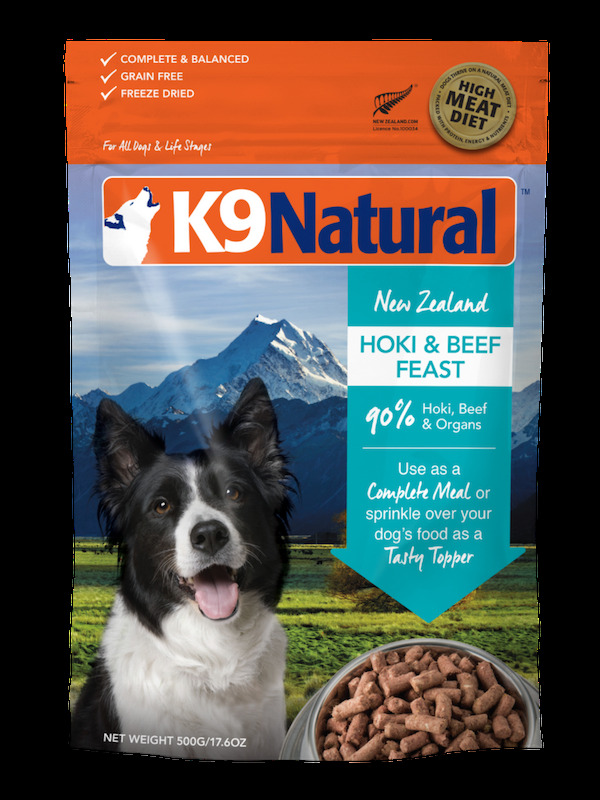 Ingredients: Hoki, Beef, Beef Tripe, Beef Liver, Beef Spleen, Beef Kidney, Beef Heart, Beef Blood, Eggs, Sunflower Oil, Flaxseed Flakes, Brown Kelp, New Zealand Green Mussel, Pumpkin, Broccoli, Cauliflower, Cabbage, Potassium Sulphate, Dried Kelp, Apples, Pears, Salt, Vitamin E Supplement, Zinc Proteinate, Iron Proteinate, Magnesium Oxide, Selenium Yeast, Copper Proteinate, Manganese Proteinate, Beta-Carotene, Thiamine Mononitrate, Vitamin D3 Supplement.